The end is finally here. With just four days left in season three of Fortnite: Battle Royale, the final set of challenges have arrived to help you barely eek out the last few tiers of your Battle Pass. The time is now or never to rank up to tier 100 before the Reaper skin is gone forever. Thankfully, there's a bunch of stars to get this week before the clock strikes zero, so make sure to grab all of them before it's too late. Head to Fatal Fields and start looting. There's a decent amount of chests in the area. Check the house, the barns, and all the small buildings in the surrounding area. This one will come with playing the game naturally. Hit your headshots and you should get these in a few games or so. If not, step your aim up. This is another one that will come with time. Visiting 12 different named locations and looting a chest there is a bit of a chore, though. You'll need to mix up your landing spots and get adventurous if you want to earn these stars. When in the Battle Bus, you'll notice some rings floating in the sky. Just like the bullseye challenges of weeks past, you'll need to fly through one of these 10 times to earn some stars. This image, made by Fortnite Intel, shows this week's random location for stars in the battlefield. Head to this spot south-east of Tomato Town. Just play the game and get some kills and you will be just fine for an easy 10 stars. 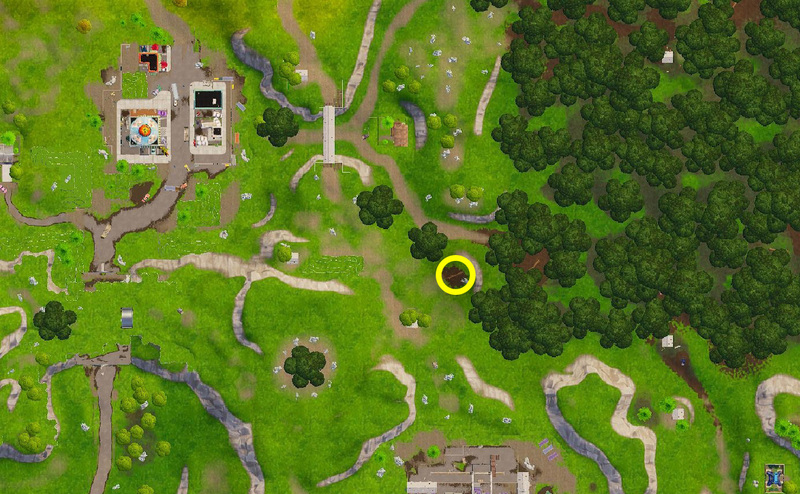 Head to Pleasant Park in the northwest area of the map and pick up three eliminations for another easy 10 stars.